Churches should be the one place Christians go for counsel and encouragement in all areas of life―nothing should be off limits. Although the list of taboo topics is growing shorter, there is one topic that is holding strong: planned giving. Planned giving is something few churches discuss. Perhaps you shy away due to lack of knowledge or the fear of making people uncomfortable. You aren’t alone. And that’s why we want to equip and coach you to lead your church fully in the area of stewardship. 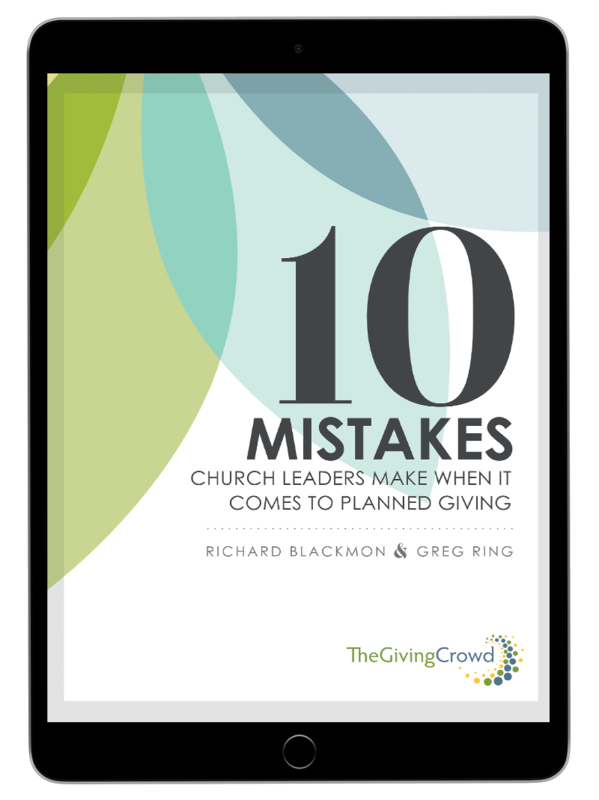 After working with churches across the nation for more than three decades, we have identified the 10 most common mistakes church leaders make in planned giving. See how many of these you can relate to. Is planned giving a part of your overall stewardship strategy? Do you talk about planned giving with a sense of urgency? Are you offering resources to help your church?